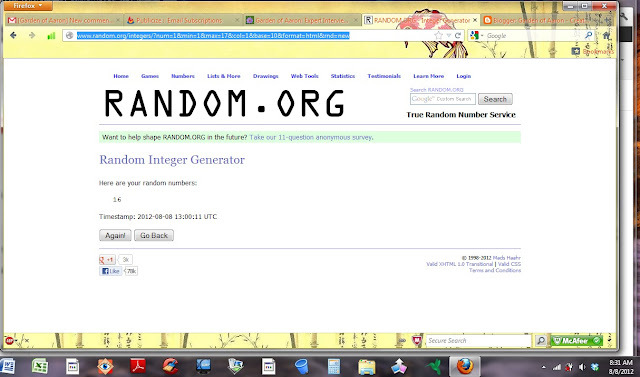 Garden of Aaron: Sweepstakes #1 - We have a winner for the Southern Exposure Seed Exchange sweepstakes! Sweepstakes #1 - We have a winner for the Southern Exposure Seed Exchange sweepstakes! Thank you to everyone who participated in the Southern Exposure Seed Exchange sweepstakes! 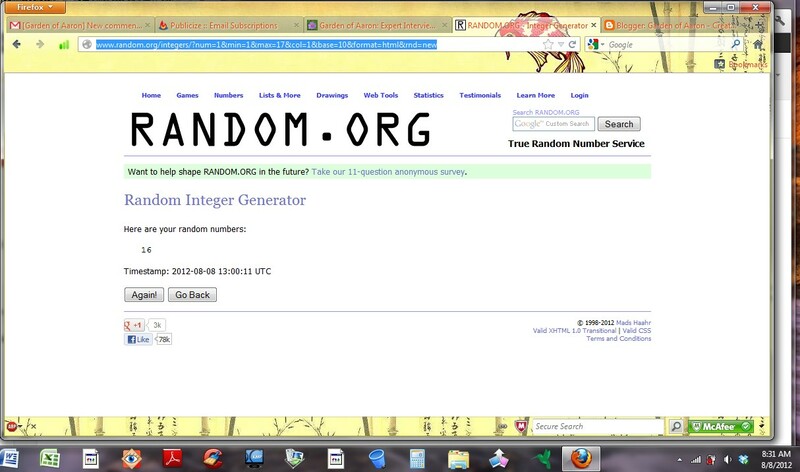 This morning, I used the random number generator at Random.org to randomly choose a winner from among the valid entry comments left on the blog. Thank you again to all who entered, subscribed and commented. I hope to have many more gardening-related sweepstakes on GardenofAaron.com in the future. If you have ideas for future sweepstakes -- or ways to improve the blog, topics you want me to cover, etc. -- please don't hesitate to leave a comment below or to contact me.